The Safety, Education and Enforcement Committee (SEE) will reconvene at the Penn Quarter Teaism after a brief hiatus. SEE will meet 6:00 PM, Wednesday, December 18, 2013 at Teaism, 400 8th Street NW, Penn Quarter. 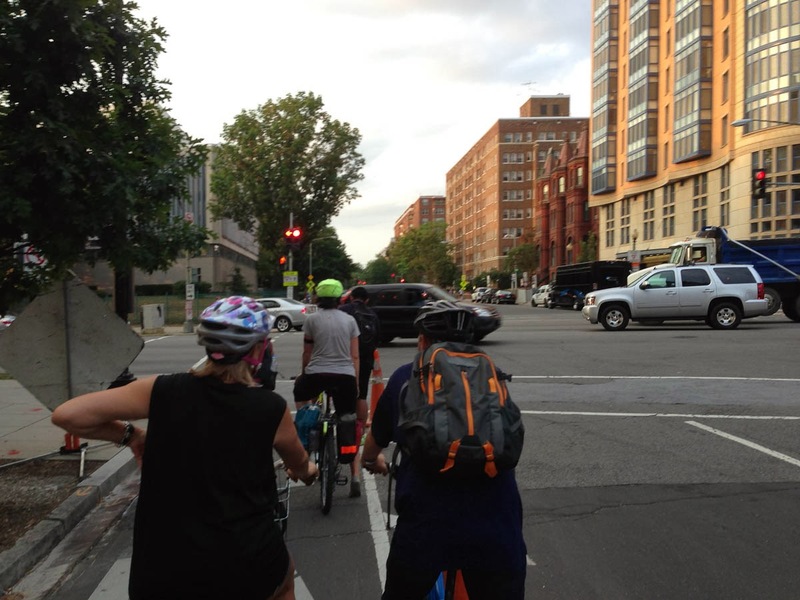 BAC welcomes Andrea Adleman as the new chair of this committee as she focuses more attention on the education of District bicyclists and the people who interact with them, among other things. Andrea is an avid cyclist who who frequently partners with the Washington Area Bicyclist Association, most recently with the Women and Bicycles program. She is also communications consultant, journalist, food critic, cupcakologist and otherwise dynamic individual. Preliminary agenda items include next steps following Council Member Cheh's December 16 Public Roundtable on the District's Bicycle Infrastructure Master Plan, a look back at past committee work and ideas about future projects. Please support her and bring your ideas to the downstairs section of Teaism.